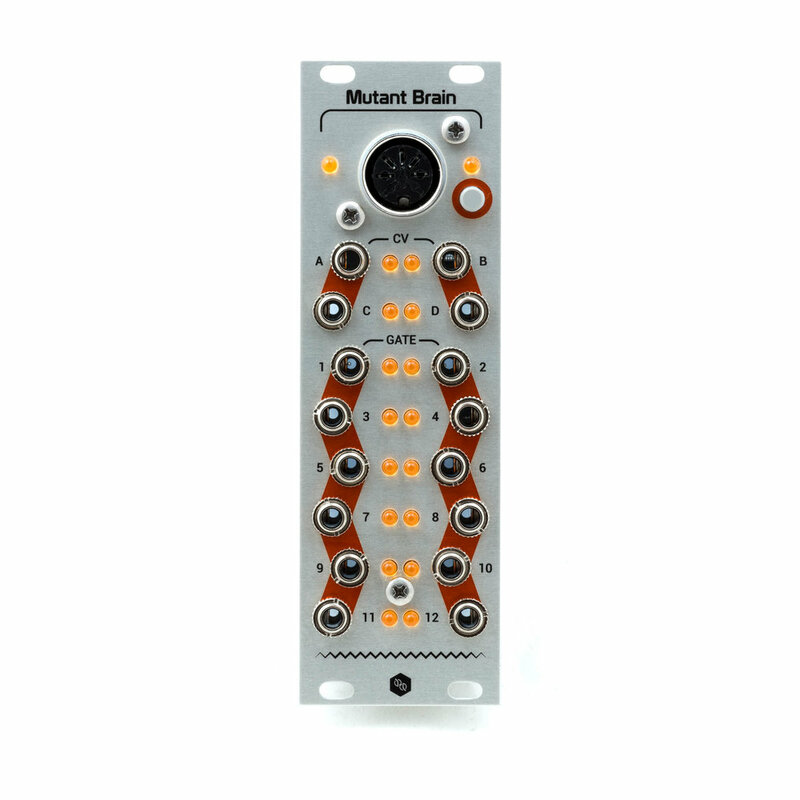 16 output ultra-flexible midi to trigger, sync, polyphonic CV and gate, and more! ADD IT TO YOUR MODULARGRID RACK! MUTANT BRAIN SURGERY - EASILY CREATE YOUR OWN MAPPINGS! Please refer to the last page of the User Manual (linked up top on this page) for how to update your Mutant Brain’s firmware. Corrected a problem where gates listening to specific MIDI notes might trigger on the wrong note when an active note input shares the same MIDI channel. Corrected a problem skipping MTC and SPP messages which could result in message misinterpretation and random outputs. This firmware is the stock firmware currently shipping on the Mutant Brain.